Remarks : Quite fresh, with rests of fusion crust on the surface that was in contact with the ground. 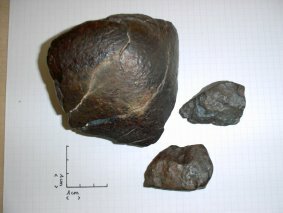 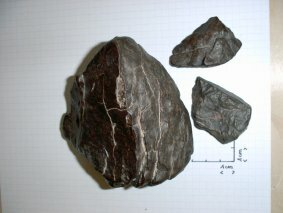 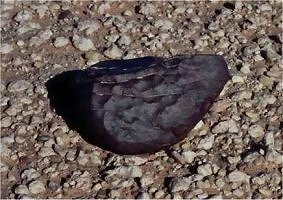 view of the 3 fragments, side in contact with the ground, with rests of fusion crust. 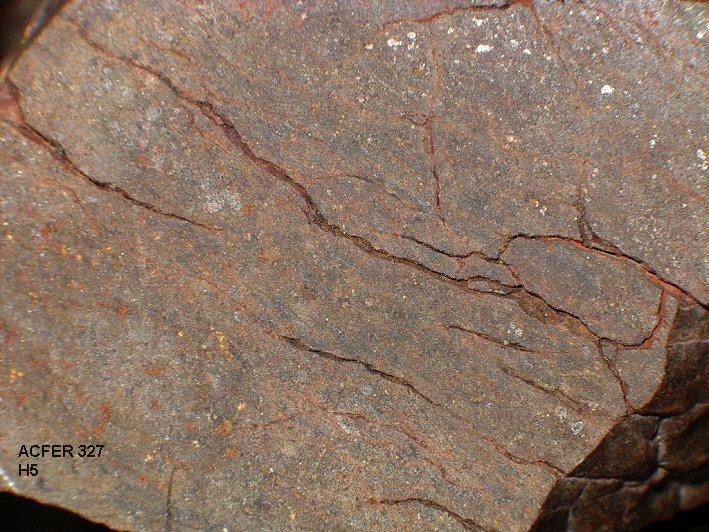 view of the highly fractured structure, showing metal flakes ; chondrules boundaries are not very sharp, proving a high level of metamorphism.